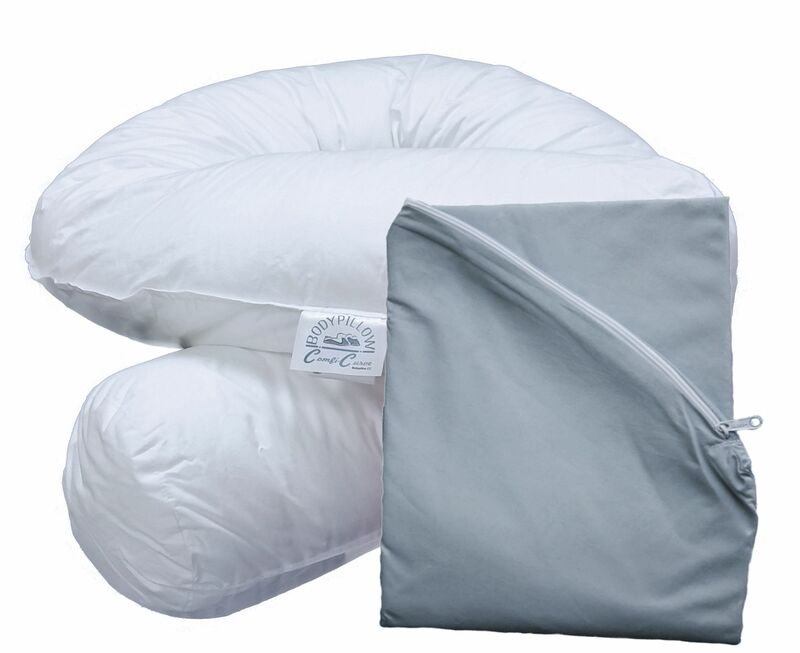 Cylindrical shaped pillow 150 cm long with a diameter of ~15 cm. 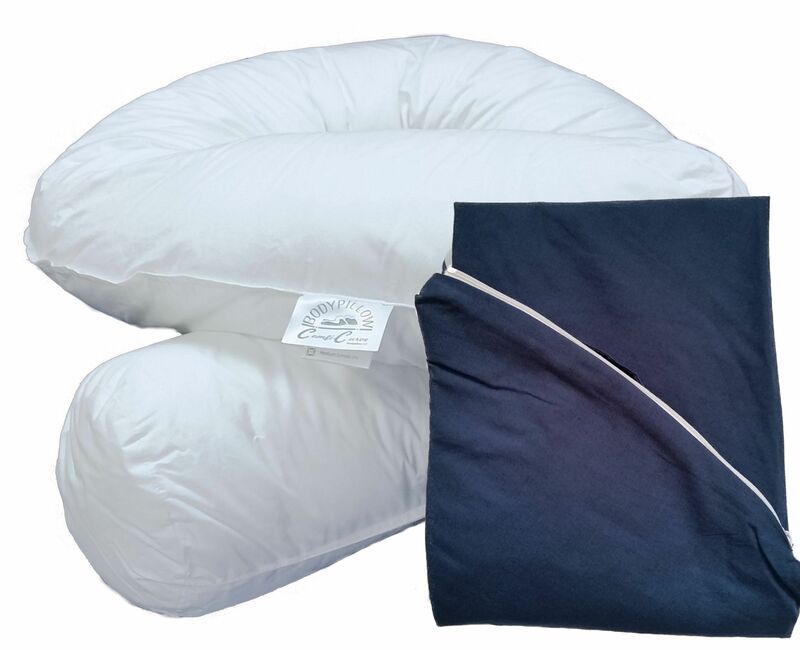 The Comfi-Curve maternity pillow is designed to follow the natural curves of your body. 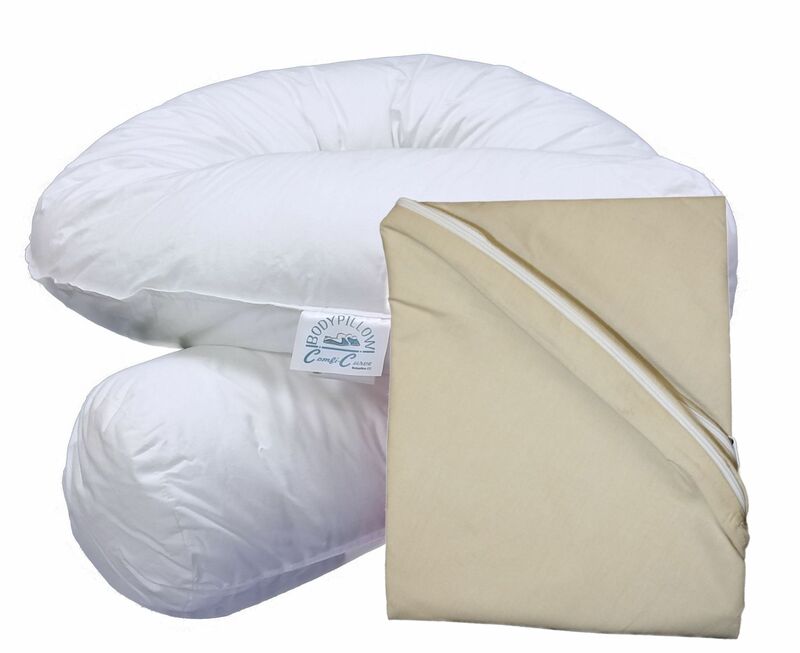 It is a cylindrical shaped pillow 150 cm long with a diameter of ~15 cm. 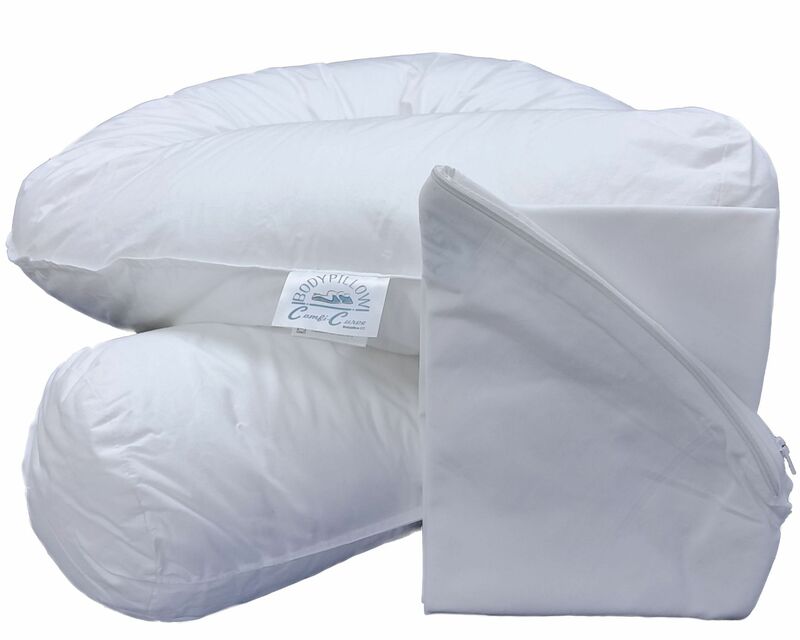 The pillow’s inner cushion and pillowcase are manufactured from high thread count 100% pure cotton. 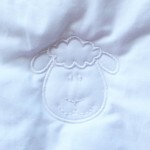 Each component is fully washable according to its individual care tag. 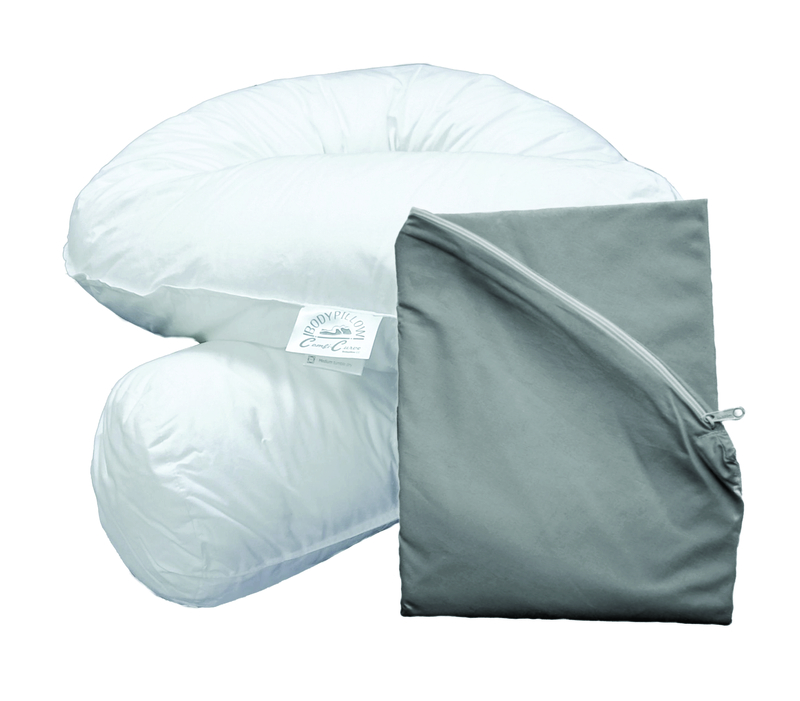 The Comfi-Curve features an easily interchangeable pillowcase that is secured with a zip. 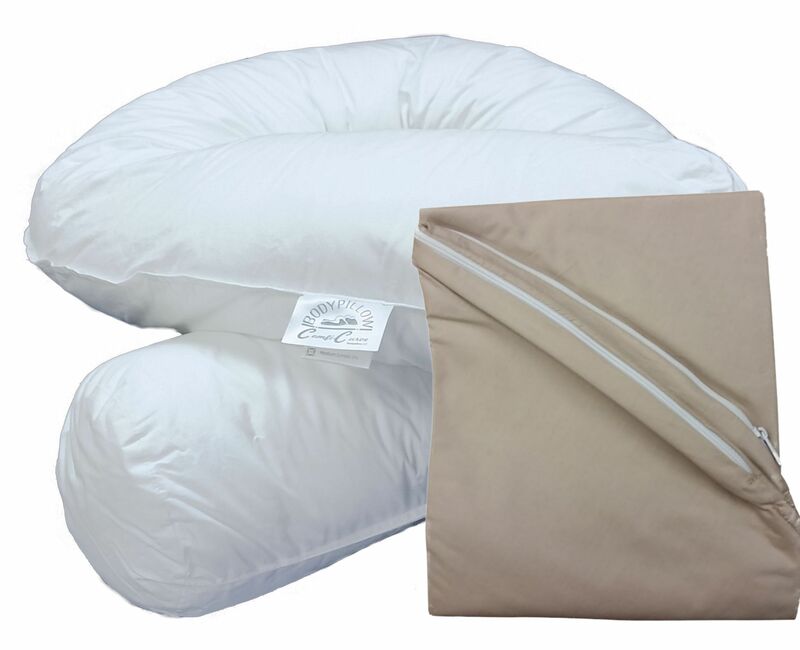 The Comfi-Curve may be used for support between the ankles, inner thighs and under the tummy (bump).The slender sized pillow is easy to manage under the covers and should not restrict freedom of movement during sleep. 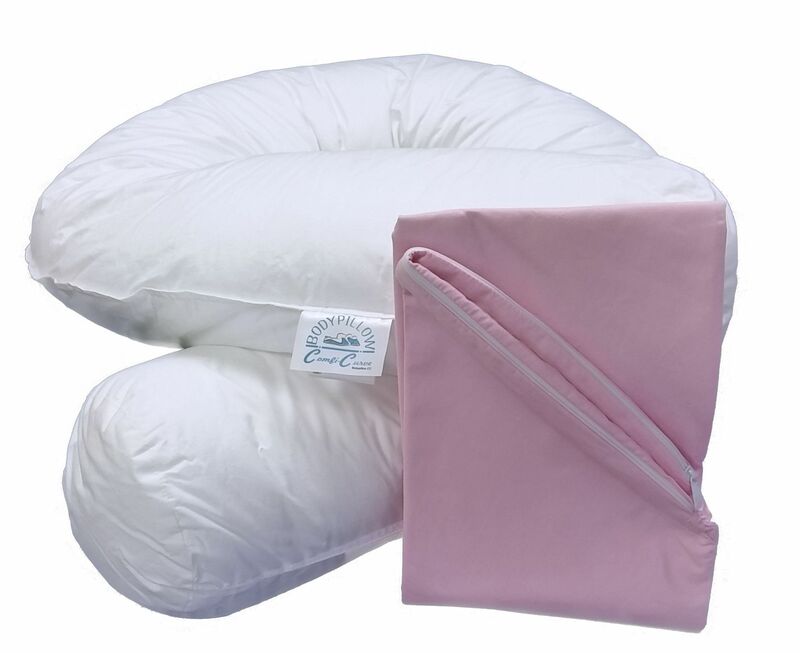 The pillow may also be used to support baby while he or she is breastfeeding, lying down or sitting upright.It also makes a comfortable back rest for Mum.